It is a requirement of your Agreement, that the goods are protected against Theft and Accidental Damage. We can arrange Theft & Accidental Damage Cover for £1.54 per week. It is a requirement that products purchased on a credit agreement are insured. We can offer Theft and Accidental Damage Cover for £1.54 per week. 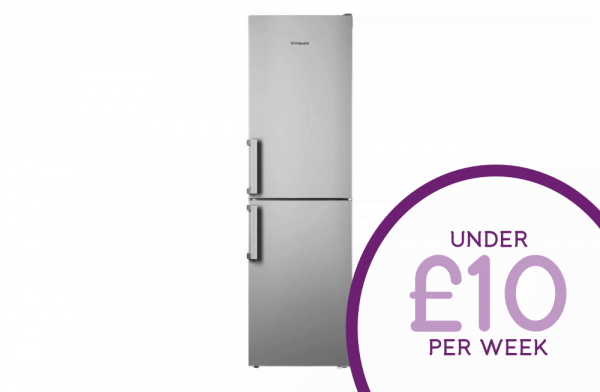 The Hotpoint Day 1 XECO95T21GH Experience Eco Fridge Freezer in graphite has an A++ energy rating that offers optimum energy efficiency and is part of the Day 1 Fresh Technology Range as it features the 3-in-1 zone that will extend the life of your food up to 7 days. The 3-in-1 zone provides 3 functions you can choose from to preserve your food. They are Super Cool+, Safe Defrost and Chill mode which delicately keeps a constant airflow around 0°C ideal for meat as well as fish. You will never have to defrost your fridge and freezer again thanks to its fully frost free technology with improved cold air circulation that prevents ice build up. Also features a special anti-bacterial coating on the inner walls that kills bacteria protecting your family and keeps your food fresher for longer. This model will look the part inside your kitchen thanks to its stylish design providing energy savings to last a lifetime for you and your family.